With the recent attacks in Paris—and chronic turmoil and violence elsewhere—I’ve been having bleak thoughts about humanity. How is peace possible when people have such deeply-ingrained beliefs and such intolerance for those who don’t share them? So I wanted to feature a hopeful book. One pair of shoes. One team of horses. One house of bears. One bowl of pears. People are different. We look different, wear different clothes, partner in different ways. Our families come in all sorts of permutations. We might even believe in different gods, or many gods, or no gods. But look how beautiful we are. Look at how we all get along. One is one and everyone. It’s a beautifully conceived and designed book—all the way down to the endpapers. 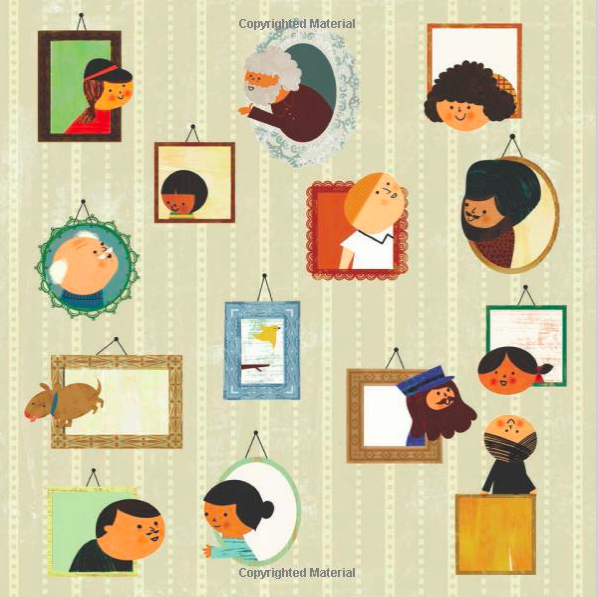 At the front of the book, we see this charming portrait wall. At the end, we see the same wall, but with the characters leaning out to connect with each other. Before I announce the OVER THE RIVER & THROUGH THE WOOD giveaway winners from my last post, let me point you to another place to win a copy. I’ll be visiting The Little Crooked Cottage, a fabulous blog by a trio of talented children’s book authors—Anika Denise, Kara LaReau, and Jamie Michalak—tomorrow (November 18) and we’ll be giving away a copy there. Please stop by! And so, without further ado, the winners are Rosi Hollinbeck and Cindy Schumerth! Congratulations, and thank you to all who commented! Blanca Gomez, counting, diversity, George Shannon, Linda Ashman, One Family. Bookmark. 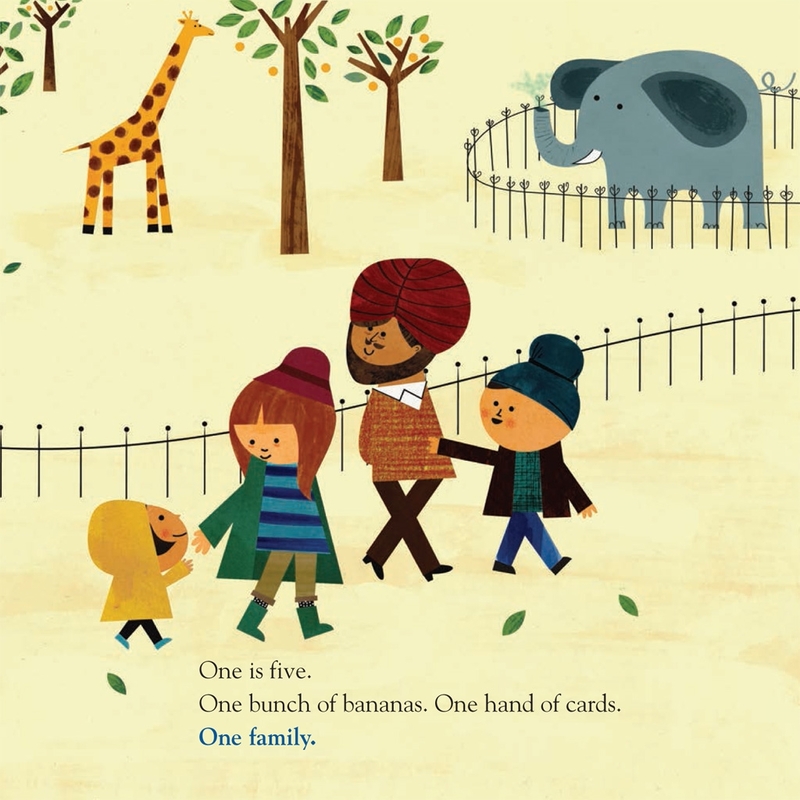 What a lovely, clever book! Thanks for sharing, Linda! Thank you for reminding us that there is light in the world. We just have to keep looking for it. I agree, Andria–very important to keep looking for it. I needed to read a post like this today. And I must add this book to our collection. Thank you, Linda! Yes, definitely one for the collection. It’s a gem. Thanks, Anika! This looks like a book to be savored – especially in times like these. Thanks, Linda. Yes, it’s a beauty. Thanks, Jill. YES! More books like this! Wonderful, sparse text with lots to say. Amazing illustrations! Thanks for bringing it to my attention. Thanks, Nancy. And I agree–the illustrations really are amazing. Just perfect for the text. Oh, good! I look forward to seeing you over there, Robyn! I love so many aspects of this book. Thank you! The perfect book. Thank you for this uplifting post, Linda. I think we all needed this. Thanks, Jennifer. It’s a beauty. I hadn’t seen this book and am now longing to find it. Thank you for sharing it, Linda. Yes, Wendy–be sure to get your hands on a copy. It’s fabulous. This is a perfect book to read & share as we focus on our common humanity. Thank you! I agree, Patricia. Thank you! Love the ONE FAMILY concept. 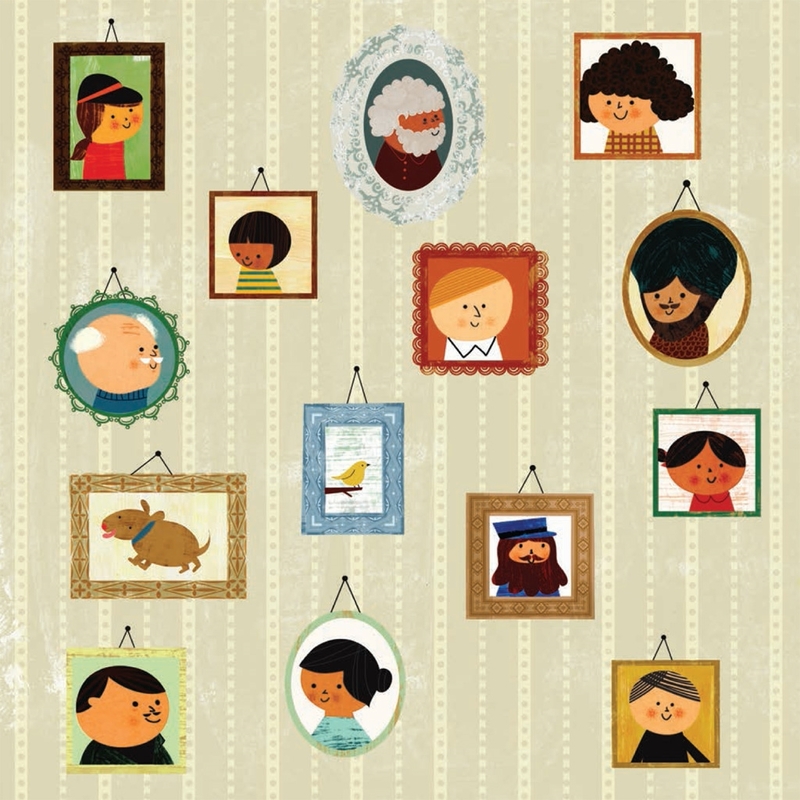 And the throwback to The Brady Bunch portraits makes me smile! I’ll certainly be picking up a copy of this one! Yes, definitely a great one to add to your collection (and/or give away). Thanks, Juliana! It’s such a gem. I think I need some of the art on my walls as a daily reminder. Thanks, Kirsten. Yes, don’t miss it–it’s really wonderful. Thanks, John. Oh my gosh, I LOVE this. Sorely needed in these days of horrific headlines! Thanks! This is definitely a must-have book!! It really is. It would make a wonderful gift too. Thanks, Vicki! Beautiful! I have a deep and abiding obsession with endpapers – I love that you included them in the review! Thanks for an uplifting book suggestion. Oh, I agree, Katey. 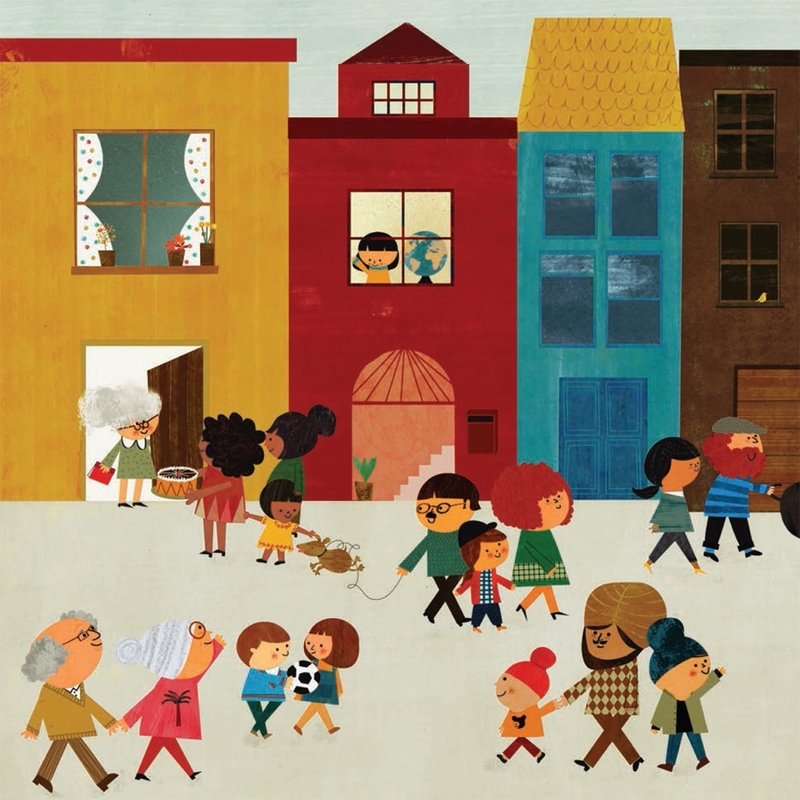 I love how illustrators and designers use the endpapers in such creative ways. You’ll have to check these out–I wasn’t able to include both sides so you’re in for a treat! Very sweet, and much needed message! Yes, very sweet–yet powerful too. Thanks, Danielle. It really is, Ellen. I wanted to include every illustration–I love every page. I love George’s work. And especially this book!! I’m embarrassed to say that I hadn’t been familiar with his books before this one. But now I’m going to check them all out! Thanks, Kevan. Besides being a great guy, George is a terrific writer. And the illustrations complement the words perfectly. Looks like a wonderful holiday book. 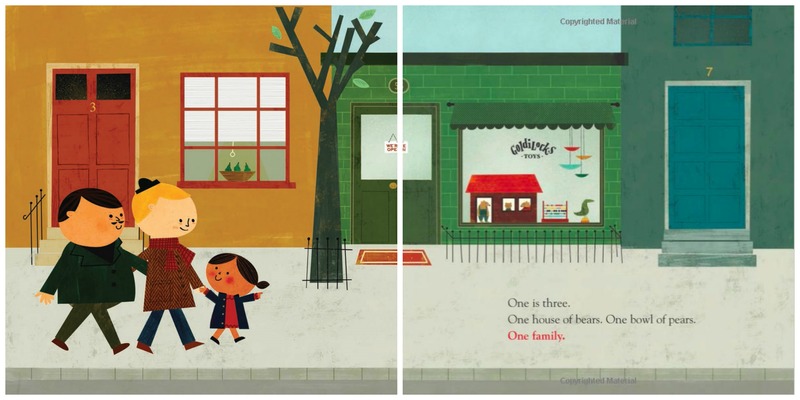 Yes, George’s text is really simple and elegant, and perfectly matched with Blanca’s illustrations. One of those perfect unions we all strive for. Thanks, David. This is wonderful! And thank you for introducing me to the art work of Blanca Gomez–love it!! Isn’t it glorious, Maria? Her online store is very tempting. Yay! I won! Thank you. Thank you. Very excited here. 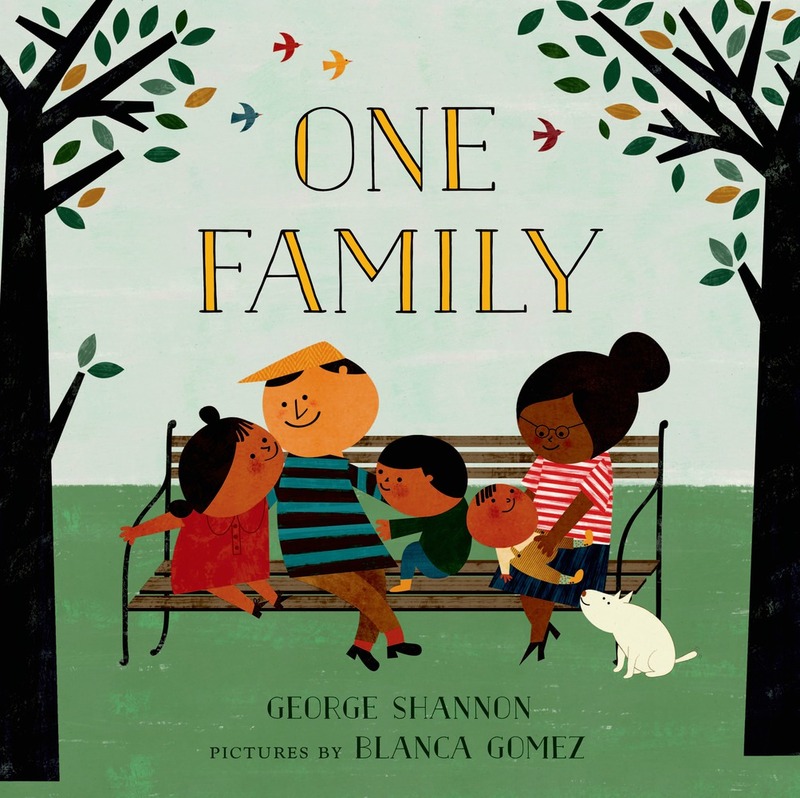 One Family sounds like an incredible book. I just put it on hold at my library and can’t wait to read it. Thanks for the review. Yes, it IS an incredible book. And OVER THE RIVER is on the way–it should arrive in the next day or so. Thanks, Rosi! 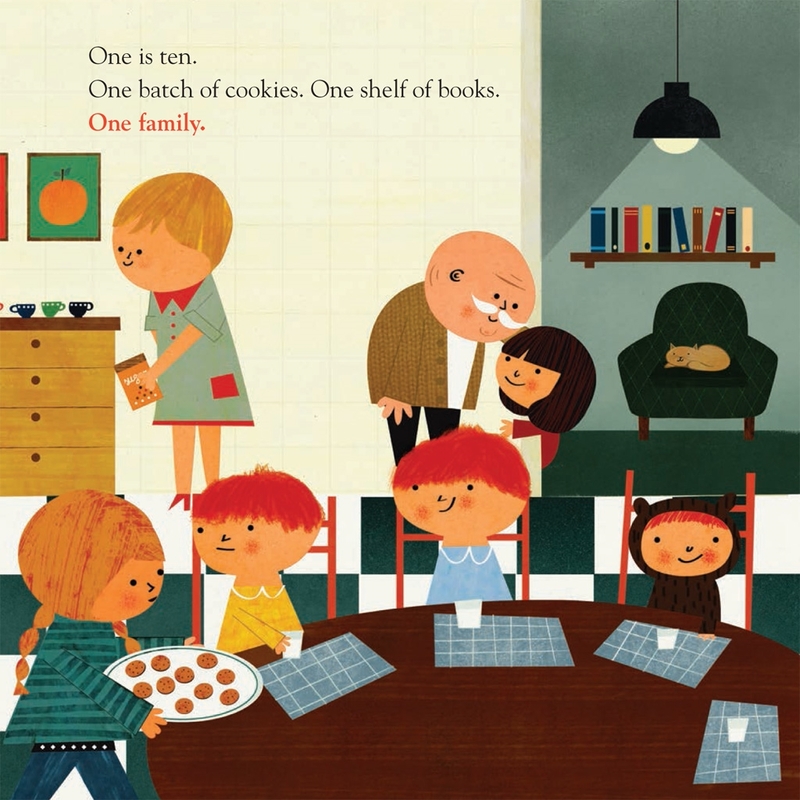 Beautiful book – thanks for sharing! It really is a gem. Thanks, Amanda! I’ve been in conversations all week about the themes in this wonderful book. I’m eager to get my copy. Thanks! They’re definitely themes worth talking about. Thanks, Anola! Thanks so much for this post — such beautiful thoughts in response to the tragedies. What a perfect choice! 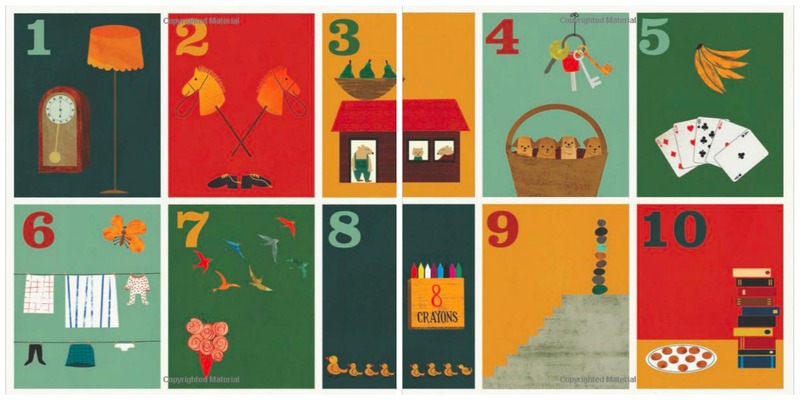 I don’t have kids in my life young enough for a counting book, yet I think I want this one just for myself anyways! Yes, it’s definitely one to treasure. Thanks, Eliza! It really is. Thanks, Kristi! What a terrific example of a simple yet positive and hopeful book. Thanks so much for the post. Bleak thoughts have been permeating my PiBoIdMo efforts too, and this book provides a wonderful example of how to deal with them. As you say, it is also a timely and important reminder of how great humanity can be in terms of recent world events. Many thanks! I hear you, Julie. It can be challenging to come up with picture book ideas if you’re paying any attention to what’s happening in the world (dystopian YA might be much easier!). But there are definitely signs of beauty out there too. Good luck with your writing! This book is like a big warm cozy hug! Thanks for sharing this lovely book! I can’t wait to scoop up a copy. Looking forward to your Little Crooked Cottage visit tomorrow, too. This book is a MUST for my bookshelf and the elementary school I volunteer at! Thanks for introducing it! Yes, every elementary school should have a copy. Thanks, Mary! Ha! Yes, it really is. Thanks, Tracey! Thanks, Linda–so glad you found it inspiring. And thanks for the great post on your blog! I had never even heard about this wonderful book until now. Thanks so much for sharing! 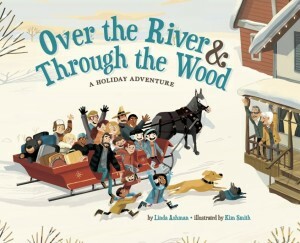 This looks like a wonderful book, Linda. Thank you so much for sharing it!